Women’s Storyropes™ made in the Seattle area. Each story is important, is part of God’s larger story, and is a vital part of telling God’s story. The gold chord represents God’s story. Recently, I had the honor of leading a Storyropes™ workshop with Trisha, the lead for The Creative Call, Washington. It was a group of six women, leaders in a church. I really appreciate caring for women in small settings, so I was happy for the intimacy of this gathering. I began our sharing by “reading” my collaged book of the woman who encountered Jesus at a well in Samaria. Then, I shared my story with my storyrope™. 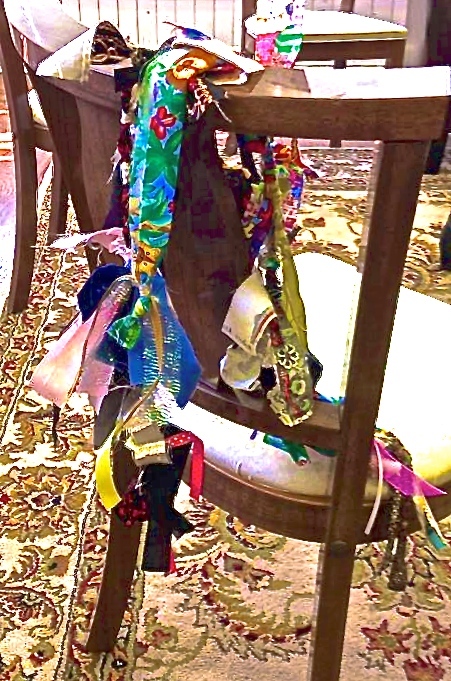 After sharing, I invited the women to share their stories by using ribbons and fabric to “tell” their stories. It is a unique way to share without words – at least to begin our journeys of releasing our stories to God, and embracing them ourselves. (We often run from at least part of our stories.) We can put color to an event when we can’t find our words. 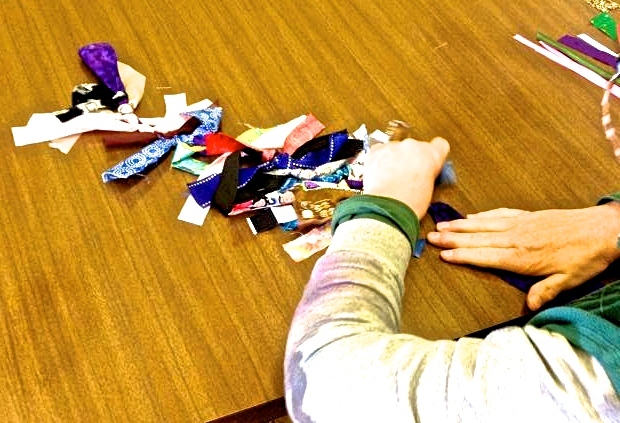 Bright ribbons and fabrics, as well as darker colors, are laid out for the women to tell their stories. Quiet music is played while the women process their stories with the supplies. 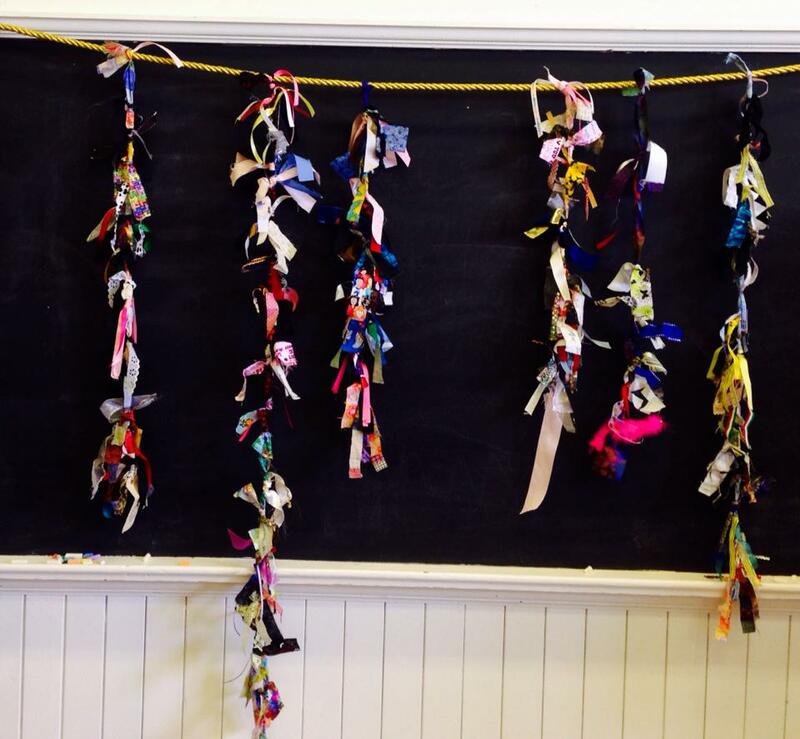 The ribbons and fabric are tied along a slim strip of fabric which is about a meter long. This is hard, helpful and important work. This section of the workshop may take up to an hour in the USA. Storyropes™ are completed. 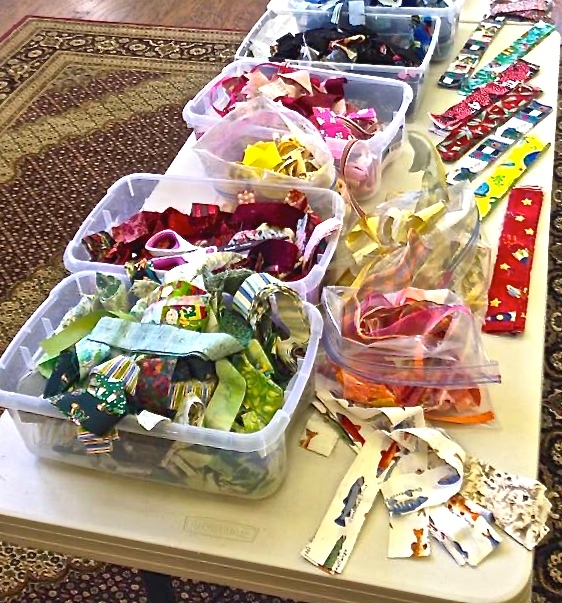 Now, the women are ready to share their stories, and receive prayer from our small, loving group.